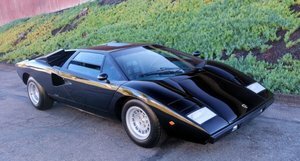 In celebration of the company’s 25th anniversary, Lamborghini released a further updated and slightly restyled version of its celebrated Countach. 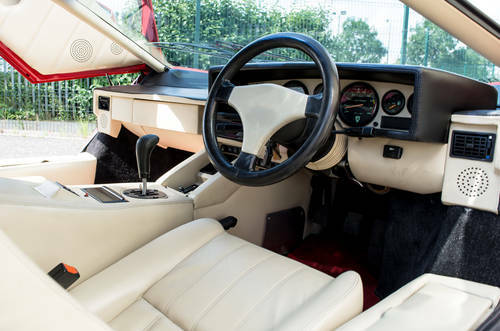 It was unveiled at the 1988 Italian Grand Prix at Monza and would become, the most memorable and widely recognised Countach, and it is fondly remembered by enthusiasts for not only its signature style but also the welcome updates that it brought to the 15-year-old Countach platform. 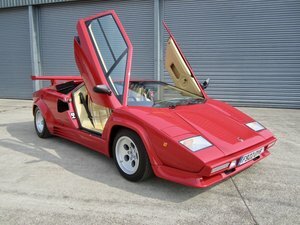 The Countach is a styling icon of the 1980s, and it still commands attention and respect wherever it travels today. Horacio Pagani was tasked with updating the iconic Gandini-penned bodywork. He chose to tweak the nose and redesign the air intakes to more effectively channel air to the Girling ventilated front disc brakes. At the same time, the rear bumper also received subtle styling changes. Other notable changes were made to the body air intakes, located just behind the door, which received thicker body colour stakes, and to the two-piece forged alloy wheels. 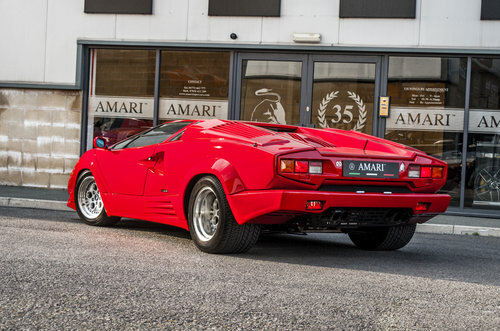 In total he made almost 500 subtle changes over its predecessor, the 5000 QV, the new Countach retained the same striking visual panache and incredible performance that Lamborghini’s customers had come to know and love. 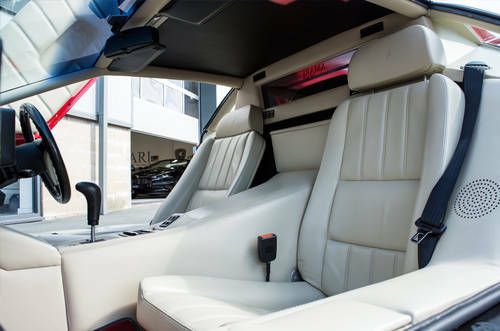 Inside, Lamborghini upgraded the Countach’s relatively spartan appointments to include all-new power windows and power seats. A newly designed steering wheel was fitted, as was a more powerful air conditioning system. 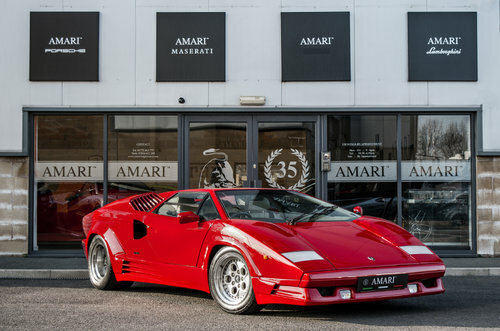 Overall, the new Countach was comfortable but quick, with an estimated top speed of 295 km/h with 0–100 km/h in under five seconds even by todays standards its still a hugely capable car. In the 2 years that the car was produced from 88’ to 90’ just 658 were built. One of just 57 RHD cars this particular example has covered 15,664KM (9,733 Miles). 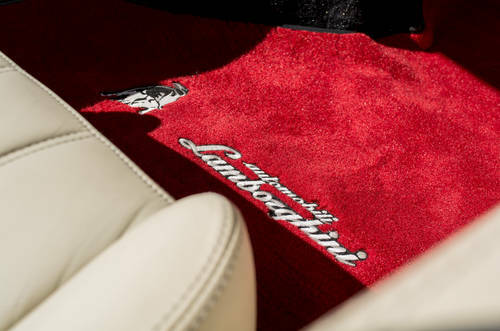 Originally supplied new by Portman Lamborghini in October 1989 to Mr J.Embiricos of South Kensington, presented in its original colour combination of Rosso Savaglia with Crema hide. 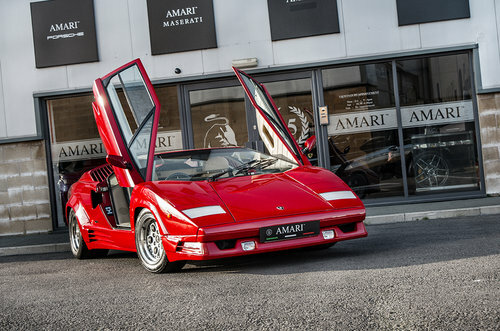 First serviced in February 1990 by Lamborghini Portman, Mr Embiricos kept the car until July 1990 when ownership was passed to C & J Dunhill LTD who owned the car until May 1997, during this time the car was stored covering very little milage until it was passed to Mr P.A O’Meara of Hornchurch, Essex. The car received an MOT on May 23rd 1997 recording the mileage as just 1577. 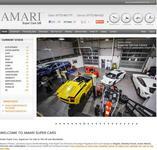 The following day the car was again serviced by Lamborghini. Mr O’Merara continued to enjoy and use the car until February 2003, when ownership of the car was transferred to Mr. O Everatt- Stoneman of Chelsea. 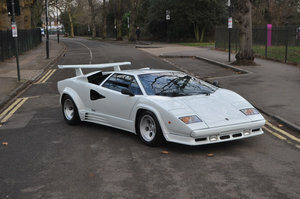 During his ownership the car was maintained by Lamborghini London, with invoices totalling over £15,000. After 13 years of ownership Mr. Stoneman sold the car in February 2016 to Mr E.A Boehm, who owned the car until July of 2016 when the car passed into Amari’s personal collection. Since 2016 the car has been maintained by Mike Pullen of Carrera Sport. 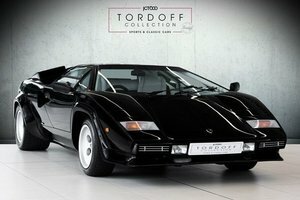 Given It fantastic documented history and low mileage this is truly one of the best examples offered for sale anywhere in the world. In 2016 the car underwent a full mechanical overhaul with Carrera Sport costing over £10,000. Prior to sale the car will be given a full service and 12 months MOT. The vehicle comes complete with the original toolkit and books including the original sales brochure from 1989.